Is committed to providing you with excellent transportation services. Count on us to provide you with fast, reliable, professional service. Excellent customer service is our number one priority with the best door-to-door service to and from your destination. Make your reservation today to experience elite service. Call 206-271-6999 for a price quote or to make your reservations. Oz Car Service has been providing excellent service for over ten years for our customers. We specialize in pickup to and from the Airport, to your meetings or doctor appointment, sporting events. 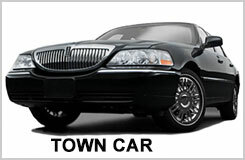 We provide a flat rate for our town car service. 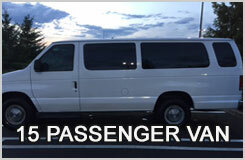 Call for rates on our 15 passenger van. Our rates are competitive with other limo services. We provide Town Car Airport Transportation, Seattle Airport Town car service, Town car Airport Service, Eastside Limousine service, servicing the Greater Seattle area, including King County, Snohomish and Pierce Counties, providing warm and friendly door-to-door service. We are also available for Business or Private at an hourly or daily rate. We know our way around the city, and we provide a great tour of all the best spots Seattle has to offer. Take “How you’re going to get around this great city of ours” off your list of things to worry about, Call us today! or last minute travel plans. Call as today at (206) 271-6999 to experience the best Limo service that you deserve! Figuring out wedding transportation -- how many cars you need, what kind, and when -- can be confusing. Before you book a limo, read this article. Either if you are looking for unmatched sightseeing’s of Seattle tour at daytime or looking to enjoy the famous historical landmark. Here at oz Car Service, we strive to offer you the highest-quality and most luxurious transportation options - all at affordable prices.